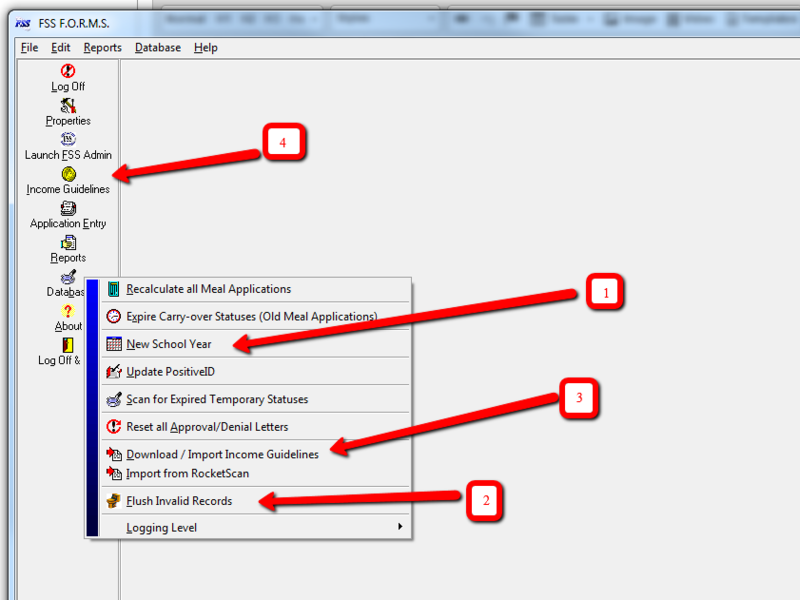 The procedure to get FORMS ready for a new school year. Has your database been updated? Have the seniors been graduated out of the system? Search for the person who would have to go to court if an issue arose. If they are not in the database, you will have to add them. Do the same for the director. This person will answer parent questions on an application. Enter the First day of the fiscal year. We suggest July 1 of the new school year. Enter the Carry over Status Expiration. This would be the 30th day of school excluding weekends and days off. 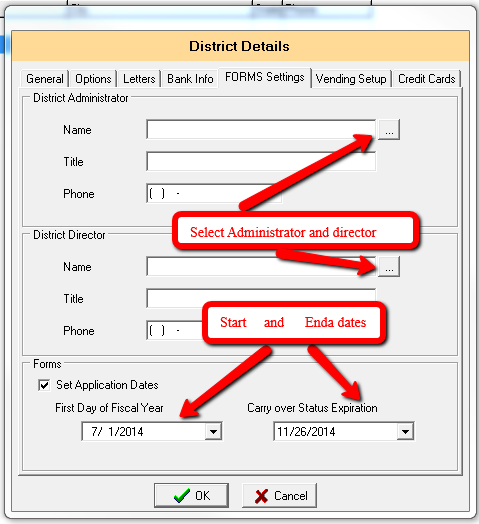 When the expiration date comes, you can run a routine to expire/set back to paid the applications that have not been updated. You should get a message that the download was successful. If you do not, Contact our office at 814-317-4400 option 2. You will get an import screen with the path of the file needed. Click Import. You should get a message that the income guidelines have been updated. Click on Income Guidelines (4) and view the current income guidelines.